In 1966, the Rover car company literally had the world at its feet: In the shape of the design team led by David Bache and engineering department headed up by Spen King, the company had arguably the strongest development team of any British car company in post-war automotive history. Rover was riding high on the success of the Rover P6, introduced in 1963 and new models were in the pipeline: Spen King and Gordon Bashford were developing an exciting triumvirate of models which would shore up the company’s share of the prestige sector of the market. The success of the P6 had completed the rejuvenation of the Rover image, which had begun with the highly publicised outings of the Gas turbine powered Rover JET1 and then the success at Le Mans of the jet-powered Rover-BRM. Obviously, the image of the Auntie Rover was a lasting one in the minds of customers, but with the launch of the Rover 2000 in 1963, the shape of the executive car market had changed – people no longer needed to buy the excessively large 3-litre cars so typified by the Austin Sheerline in order to show their status in life. Three years previously in 1963, and with the success of the Rover 2000 not yet assured, Rover were still producing the ageing 3-Litre P5 alongside the mainstay of its range, the Rover P4. In their forward planning, King and Bashford had a problem; the P4 was due to disappear the following year – the P6 being the modern incarnation of this car – but the P5 3-Litre would need heavy revision or replacement in order to remain competitive. The Rover 2000 also had been saddled with compromises in order to get it into production – the round the corner independent front suspension famously being the first one, but more pressingly, the heavy 2-Litre engine was assuredly the other. King knew that in the medium term, more highly powered versions of this car would need to be put into production – the rival Triumph 2000 was slightly cheaper and offered far better mechanical refinement because of its six-cylinder engine. What this situation meant in effect was that with a replacement being needed for the 3-Litre and a significant update being required for the P6 at what King saw, was about five years hence, there would be a need to develop a new model to do the job of both the P5 and P6. It was a straightforward decision for the company to pursue this single model programme because management at Rover had become convinced that the Solihull design team could only handle the development of one major new car at a time. Various mules were concocted – all based around the P6 base unit – in which to test new engine and suspension configurations. The idea being that the P6 Rover 2000 replacement should be a re-engined and re-engineered version of the existing car and work was soon underway on the project. These models became collectively known as the Rover P7 prototypes and they allowed Rover to investigate various mechanical configurations for their upcoming large car replacement. 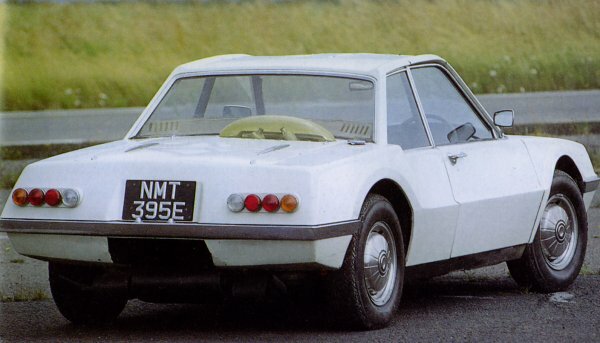 The other problem for Spen King was that not only was the P5 an ageing car, its engine was also past its sell-by date and even though straight six versions of the P7 were produced, there was never any serious consideration given to the use of this power unit in any upcoming car that would lead Rover into the Seventies. Six cylinder versions of the Rover 2000 engine were, however, developed and displacing 2967cc managed to produce a more-than-healthy 150bhp even in single carburettor form. Straight-line performance was ample but the handling balance of the car was upset by heaviness of the engine – giving a bias towards understeer. The problem was that the six-cylinder engine was physically a long engine and there were considerable problems in installing the unit in the P6 bodyshell without resorting to changes to the bodywork in order to accommodate it. In a move pre-dating Audi by some ten years, the Research department run by Brian Sylvester, actually engineered a 2.5-litre five-cylinder version of the engine in order to get over these problems. Edward Eves of Autocar actually owned one of these prototypes, which survives today (in the hands of an enthusiast member of the Rover Sport Register), and reported that the in-line six version of the P7 was impressive and considered it equal to the later Buick engined version. The P7 mules acted as a rolling test bed for the alternative power unit configurations to go in the eventual P6 replacement. With this work coming to completion, the P7 project name was dropped and thoughts were put into an entirely new car. P7 proved that the P6 could be re-engineered to take a straight-six, but the sensible option was always going to be to start from scratch. The cost was one consideration, but the lack of space granted by the P6 body was a major one, given Rover’s intention of using this car to replace the P5. Because the P7 mules had served their purpose, Gordon Bashford and Spen King worked together to formulate plans for a completely new car to take over where the P7 had so successfully started out. Logically, the new car was dubbed the Rover P8, but because the design office was now working actively on the mid-engined P6BS (which stood for P6 Buick Sports) sports car, the P8 development programme was to take a back seat in Rover’s task-list. Not only was the P8 pushed behind the glamorous P6BS, but also the pressing need for a new large saloon had been deferred somewhat by the fact that in 1965, Rover had acquired the rights to use the remarkably efficient V8 ex-Buick all-aluminium engine. Now, Rover had the perfect power unit with which to give the P5 and P6 ranges a much-needed fillip. Actually, this audacious deal, pulled off in January 1965 by Rover’s Managing Director, William Martin-Hurst, would prove to be a far-sighted one for the company – it would provide an engine that would become the centrepiece of British Leyland’s corporate executive car through the Seventies and into the 1980s, but more than that, it would provide the motive force for the Range Rover and also keep the British specialist car makers, such as TVR, Morgan and Ginetta in engines all the way through to the late-1990s. When Leyland completed its acquisition of Rover in early 1967, Donald Stokes and John Barber looked at what Rover then had in development and were enthralled with (what would become) the Range Rover. Their intervention meant that the Range Rover took precedence over the P8 and P9 and reached production just over three years later, in 1970. With all this activity then taking place on the P6BS and Range Rover, the fairly simple task of installing the new engine into the P5 and then P6 was also undertaken, breathing a new lease of life into both cars. As it was, the P8 was now very much a paper project and it would receive attention as and when there was time to do so. This would remain the case until 1967 when, following the acquisition of the company by Leyland, the company’s plans came under scrutiny from the new management. When they viewed the cars that Rover were working on at the time, Donald Stokes and John Barber both agreed that the saloon car project should be pursued, even if it was still behind the Range Rover in terms of resource prioritisation in the company. David Bache presented his thoughts on the P8 design to the Leyland management and what was emerging was a large and brutal looking car, which incorporated some styling cues from the P6, but owed most of its inspiration from the products of Detroit. Maybe the hints of Americana were incorporated in order to ensure the success of the car in the USA, but it also endowed the new car with just the right amount of heavyweight appeal for the P8 to successfully replace the P5B. At this point in time, the P8 was engineered around a single base unit, incorporated a range of engines encompassing the 2000cc straight four, as well as the 3.5-litre version of the V8 engine, and two different body styles with varying trim levels. This flexibility meant that the P8 could act as a replacement for all P5 and P6 models. After Leyland stated that their desire was for the car was to act as the group’s flagship model, the smaller engined model was rapidly dropped and upward expansion of the V8 model was mooted, with an enlargement to a full 4.4-litres. Spen King, however, was unimpressed: ‘I think if you try and make something impressive, rather than good, you’re doomed, and the P8 was trying to do that. The only way that anything good is going to get done is by trying to do something good, not by trying to do it impressive. Leyland management gave approval for production in late 1967 – and the styling was signed off for approval less than a year later, after these changes to the make-up of the model range and chassis development rapidly followed. Left: December 1969 and the P8 shape is reaching what would be its definitive shape (note the SD1 style hubcap design). Right: Final clay model and the style is set – big and brutish it may have looked and Spen King was not a fan of the final incarnation, but it certainly achieved the aims set of it by it’s stylist David Bache and the Leyland management headed by Donald Stokes and John Barber. The new chassis that would underpin the P8 was created as a result of all the work undertaken by Rover on their various P7 mules – and because of this, it was a very carefully considered piece of design. The major change from the current car was in the front suspension, always a weakness of the P6, which incorporated a double wishbone set-up mounted on a subframe, which was insulated from the body by four flexible rubber bushes, which also allowed for fore-aft movement of the front suspension assembly. An unusual addition was the Rover P8 arrangement of horizontal tubes for the mountings, giving a large engineered longitudinal compliance. At the rear, the P8 would use a de Dion and coil spring arrangement, which was configured in a different manner to that found in the P6. The P8 also had its own single central levelling unit, with a pump was produced in collaboration with Lockheed – something which kingSpen King was extremely keen on with regards to the beneficial effects upon vehicle handling that self-levelling possessed. This modification to the rear suspension that Spen King had put in place was the start of something much more ambitious: he designed a hydraulic ring main that not only served the rear self-levellers, but also acted a servo for the power steering and braking system – somewhat similar to the already employed on the Citroën DS and later refined for the CX. 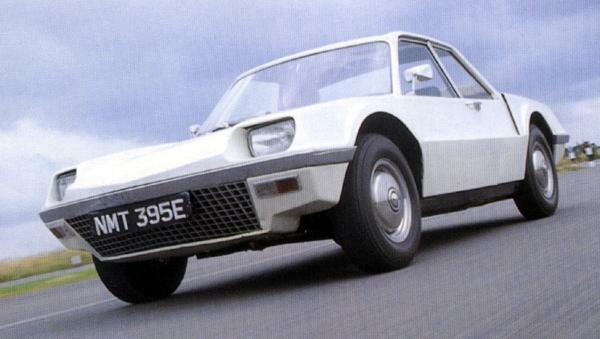 Evidence sometimes points to King being a pragmatist with some of his later engineering solutions on the Rover SD1 and Austin Maestro especially, but given time – and budget – he was unafraid to experiment with radical engineering solutions, as the suspension system of the P8 readily demonstrates. At this point in time, King was drafted by Donald Stokes to lead the engineering department at Triumph, so the final production engineering of the P8 was left to the rest of the Rover engineering team. Despite this, the car was very much his brainchild and it must have been frustrating to not be able to see the car’s development bear fruit. Following the Leyland merger with BMH in January 1968, wider issues began to surface for Rover, not least the strength of Jaguar in the newly amalgamated company – reflected by the fact that William Lyons, no less, was on the newly-formed BLMC board and his interests lay purely and simply with the survival and prosperity of Jaguar. Because of the group-wide re-organization and the loss of Rover resources (not least that of King to Triumph), the final production engineering and development of the P8 began to drag its feet in the most farcical way. The tooling-up of the P8 began in 1969, but because of delays in the new BLMC system, prototypes of the new car did not get onto the road for serious testing until 1970. Slippages in the P8 programme meant that the launch date was put-back from the original plan for a pre-1971 Earls Court announcement to a more realistic time of mid-1972. Various prototypes were spotted testing furiously at the MIRA test track at Nuneaton and the P8 seemed to be again on course. Trouble was brewing for Rover, though. 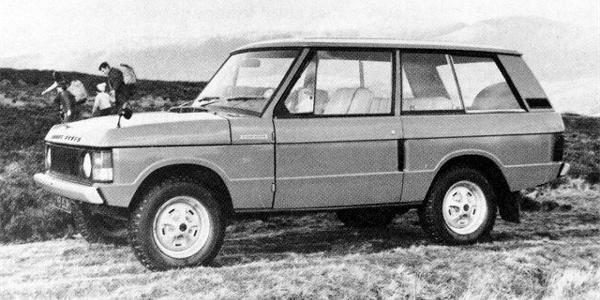 With the Range Rover successfully launched in 1970, a far-reaching analysis of the financial state of the group resulted in Rover’s two outstanding projects being put under further scrutiny. Firstly, it did not look good for the P9 mid-engined super car – that was too close to Jaguar’s patch of the market where the E-type resided – and when delays in that car’s replacement resulted in a shortage of tooling capacity at Pressed Steel Fisher, it was canned in preference of the Jaguar XJ27, later to become known as the XJ-S.
Left: Scale model of the Rover P9, how it is likely to have appeared had it been allowed to reach production. Many regard the non-production of this car as not only British Leyland’s greatest loss, but also one of their biggest mistakes. Right: From the P8, Bache moved on – his vision of a large executive saloon of the 1970s incorporated five doors and a hatchback. This was a design proposal for the P10 project, which soon gave way to the corporate design, the RT-1, then SD1. Unfortunately for Rover, its future lay in the hands of its representation at Donald Stokes’ boardroom table – and because of the fact that Rover’s management was timid when it came to dealing with William Lyons, they caved in to the Jaguar man and allowed their saloon car project to be put under microscopic scrutiny. This was after tooling had been completed at Pressed Steel Fisher and the car was ready for production at a cost of over £3m to the company. Why was this decision made? Much speculation about William Lyons’ personal involvement with the P8′s death has been made, but an ex-employee of AE-Brico, Peter Wilson, shed some new light on this in Jaguar World Monthly magazine. Whatever the reason, the axe finally fell on the P8 in the spring of 1971 and sadly for the company, three years of precious development resources at Solihull had gone down the tubes. There were other issues to be taken into account, such as the group’s entire capital spending and the fact that there was a question over capacity and where to build the new car without affecting the production of the P6 and Range Rover. The cancellation of the Rover P8 was probably unique in that it was announced in The Times newspaper of 10 March 1971. Three days later the same paper was reporting widespread anger at Solihull over the cancellation, although no names were published. The anonymous Rover executives pointed out that with Jaguar XJ6 demand outstripping supply, at one stage the waiting time was reported to be two years, and with some would be Jaguar customers buying foreign cars instead, there could have been room for the Rover P8 in British Leyland’s range and that competition between the Solihull and Coventry cars would have been minimal. The P8’s position was not strong as it should have been and all the indications are that this car was a World-beater of the same calibre as the SD1 that would emerge from Solihull some five years later. My personal feelings on looking at this potential clash between the XJ6 and the P8 are that they may have been pitched at a similar market sector, but they would have appealed to different buyers. Historically, the Rover P6B and Jaguar 2.4 were always priced at a similar level in the late ’60s, but appealed to a vastly different set of buyers: the Rover being more old money than the flashier Jaguar. That aside, however, Donald Stokes and perhaps more importantly, John Barber were acutely aware that following the absorption of BMH in 1968, their financial situation was more ropey than perhaps even they had imagined and so, cut their losses at the cost of Rover. 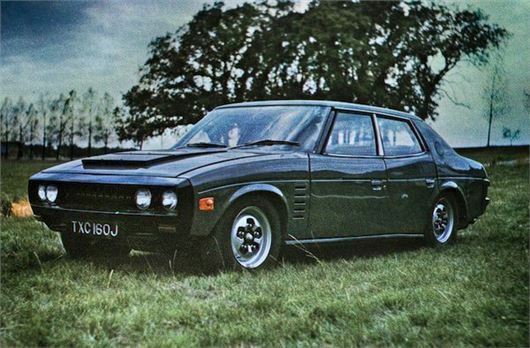 Had the P8 and P9 made it through to production, by 1973, Rover would have been in possession of an innovative and desirable range of cars, incorporating a Premium off-roader, an exciting sports car and muscular large saloon. What actually happened was somewhat different and a sad reflection of the extraordinary bad luck that the company put up with in the early years of the BMH/Leyland merger. Certainly, such was the level of belief in the abilities of the P8 that the car had its mourners at Solihull long after its demise, but perhaps not as many as those that mourned the loss of the glamorous P9. It is fair to say that Rover never recovered from the loss of the Rover P8 and P9 and although the SD1 that followed it was an enormously talented car, it suffered from Solihull build quality woes from day one. Not only that, but the SD1 was compromised on several fronts in order to be deliberately cheapened so as not to pose a threat to the Jaguar XJ6. That in turn, devalued the Rover name and from that point on, British Leyland never allowed the company to compete in its traditional market sector. The P9 does look exciting though, a shape that would be fabulous today. Pity that was dropped.